Diazepam Addiction is very common. The black market means that it is easy to buy this controlled drug online and illicitly on the street. Diazepam, also known as Valium, is very difficult to withdraw from; as a result, those who have developed a physical dependency, find it very hard to self-detox in the community. Due to Diazepam quickly building a tolerance in an individual, some will carry on taking it in ever increasing amounts, leading to dependency and addiction. Withdrawal from Diazepam can be extremely unpleasant and distressing; it can also be very dangerous and even life threatening if not carried out correctly. If you or a loved one have an addiction to Diazepam or any other kind of benzodiazepine, we strongly recommend that you read this page, so you can gather all the facts on what Diazepam is; how it works on the central nervous system; its withdrawal effects; the dangers associated with abuse, addiction and withdrawal; the statistics on deaths due to Diazepam and, more importantly, how you can get the correct professional help to enable you or a loved one to reduce and stop Diazepam safely. Addiction Helper is receiving more calls than ever from individuals who are addicted to “over the counter” medicines and prescription drugs. We feel it is important to raise awareness and educate as many people as possible on the dangers of such drugs, and the potential negative impact they can have on an individual’s life and the lives of their family and loved ones also. Addiction of any kind is potentially deadly to the individual. Don’t be fooled into thinking that prescribed medications are any safer than Class A drugs; the reality is they are not, especially when they are abused or taken for prolonged periods of time. Addiction Helper is passionate about saving lives, so we do our utmost to educate and help individuals suffering from addiction. In fact, we have assisted well over 10,000 individuals to access the correct treatment and support for their individual addiction problem. If you have concerns that you or a loved one may be suffering from an addiction to Diazepam, or any other kind of prescription medication, please call us today or chat to us LIVE online now. We can help you take those first tentative steps towards becoming free from addiction to Diazepam on a permanent basis! Diazepam is a commonly prescribed medical drug that belongs to the class of benzodiazepine medications. Also known generically as Valium, it is available legally in the UK only on prescription – in oral tablet form, oral or injectable solution and as a rectal gel. Diazepam works as a sedative and as a muscle relaxant. It comes in varying strengths as an oral tablet: 2mg, 5mg, 10mg, 20mg and 30mg and is prescribed to treat a number of medical physical and mental health conditions. As a controlled substance, it is a class C drug under the The Drugs Misuse Act. It is illegal to possess without prescription or to supply to others. Unauthorised possession of Diazepam (ie without a valid prescription) can result in a prison sentence of up to two years, an unlimited fine, or both. Supplying Diazepam, or being convicted of intent to supply (which includes giving it to family and friends, with or without charging them), could mean up to 14 years imprisonment, and unlimited fine, or both. What Treatment Is Diazepam Used In? 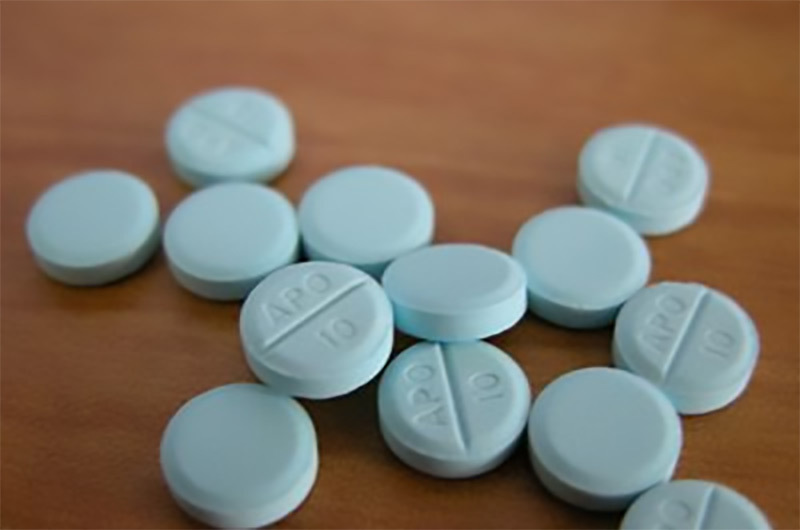 Diazepam is prescribed to treat a number of psychological and physical illnesses and conditions, these commonly include: anxiety, panic attacks, alcohol withdrawal syndrome, benzodiazepine withdrawal syndrome, insomnia, muscle spasms and conditions related to causing muscle spasms, seizures and restless leg syndrome. Using Diazepam with any other opioid drug can cause dangerous and even lethal effects: These can include severe drowsiness, slowed breathing, coma, and death. If your doctor prescribes diazepam with an opioid, they should monitor you very closely. Examples of opioids include hydrocodone, codeine, and tramadol. Under no circumstances should Diazepam ever be mixed with any Class A Opioid drugs such as Heroin. This can lead to instant overdose and death. Sedation warning: This drug can slow down your brain’s activity and interfere with your judgment, thinking, and motor skills. You shouldn’t drink alcohol or use other drugs that can also slow down your brain’s activity while you are taking Diazepam. You also shouldn’t drive, operate machinery, or attempt other tasks that require alertness until you know how this drug affects you. Under the UK’s new Drug Driving Law, it is an offence to drive whilst impaired by any drug including prescribed medications that can seriously affect your ability to drive safely, even the following day after taking them. Penalties are the same as drink driving, so be sure that you are not suffering from any adverse reactions before getting behind the wheel of a car. Increased seizures warning: If you are taking Diazepam as an additional medication therapy for treating seizures, you may need an increased dose of your other seizure medications. This drug may cause more frequent and more severe seizures. If you suddenly stop taking diazepam, you may temporarily have more seizures. Diazepam, as a benzodiazepine, works in a very similar way to other drugs in the benzodiazepine class. All drugs that are classified as a benzodiazepine have a similar chemical structure and are often used to treat similar conditions. 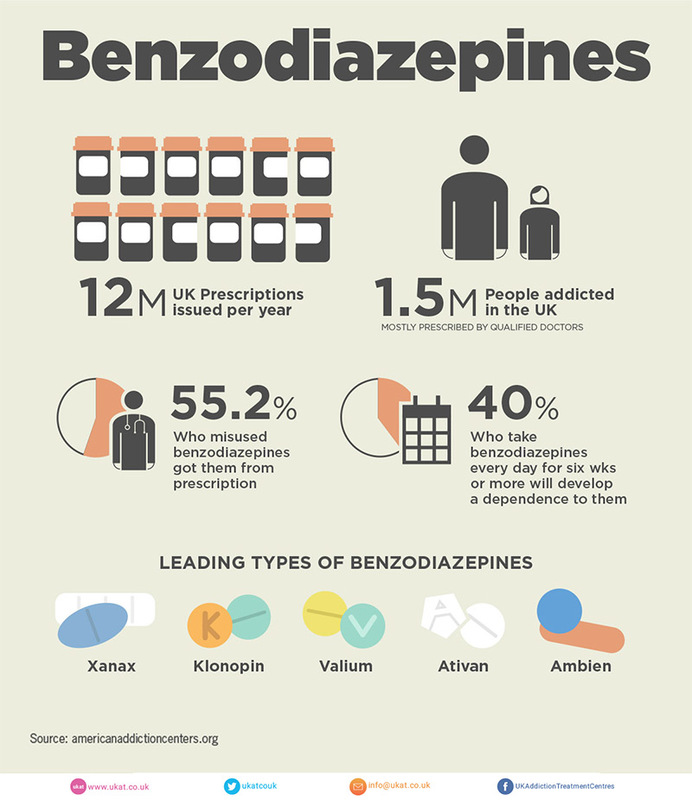 Benzodiazepines are available legally on prescription only in the UK. All benzodiazepines including Diazepam are a class C controlled drug. Other examples include Lorazepam, Temazepam and Nitrazepam. The difference between different benzodiazepines is in their strength, onset of action and duration of action. Diazepam, when administered orally, has an onset of action generally anything between 15 and 30 minutes. When administered through IV (intravenously) its absorption is much quicker, with an onset of action between 1 and 5 minutes. Diazepams peak pharmacological effects last anything between 15 minutes to one hour for both routes of administration. However, for some the effects can last longer, depending on how they individually metabolize the drug. Diazepam increases the activity of gamma aminobutyric acid (GABA) in the user’s brain; this is an organically produced chemical in the brain that sends signals throughout the body’s nervous system. If you don’t have enough GABA being produced in your brain, your body is likely to be in state of heightened anxiety and nervousness. GABA produces a calming effect on the brain, hence why this medication is often prescribed for conditions such as Anxiety and Panic Disorder. 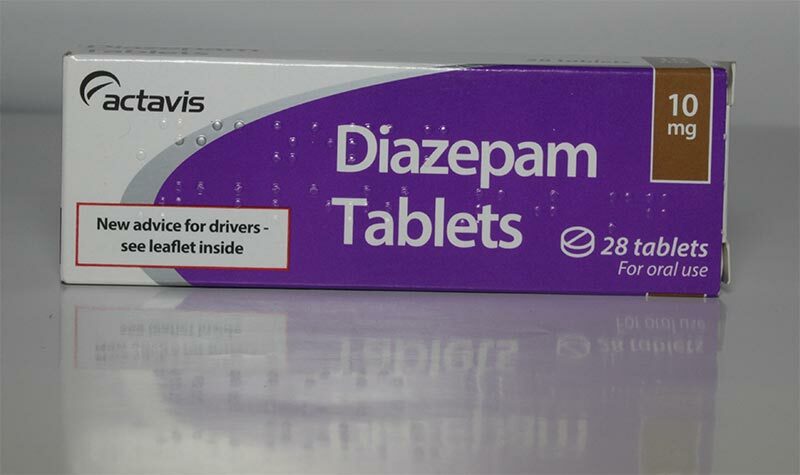 Diazepam is also used to treat the withdrawal symptoms of other drugs such as alcohol, as it reduces the risk of withdrawal related seizures and psychosis from developing. Diazepam was originally approved as a medication for use in 1963 and was invented by the late Dr Leo Sternbach. It was introduced only a few years after the first benzodiazepine ever, Chlordiazepoxide (Librium), came onto the market in the United States. Diazepam, also known as Valium, which is two and a half times more potent than chlordiazepoxide, was hailed as the new “miracle cure all pill”. In terms of sales, it quickly surpassed its predecessor. Sales of Diazepam hit a peak in 1978 with 2.3 billion tablets being sold. In fact its sales topped the list of the most commonly prescribed drug at that time. The media heavily influenced its sales through positive marketing. For many years it was seen as a harmless drug and often the marketing was directed at stressed out mothers, hence the nickname of “mothers little helpers”. The famous band The Rolling Stones, at the peak of their time, even included Diazepam in the lyrics of one of their hit songs. Interestingly, Diazepam is also found in several natural plants, such as potatoes and wheat, which contain traces of the substance. When Diazepam originally hit the market, it was a fair few years before the world woke up its negative and dangerous effects. It wasn’t until the 1980s, that doctors, clinicians and psychiatrists became aware of its potential for abuse and dependency causing properties. As concerns grew over the numbers becoming addicted to the drug, they were forced to take action. The result of this was that Diazepam and others in the benzodiazepine class began to appear in legislation giving guidance on their use, especially in elderly patients. Today clinicians and the medical institutions around the world are far more alert to its dangers and in the UK it is classified as a Class C controlled drug; only to be prescribed after careful assessment of the patient and for genuine medical needs. Generally, in most instances, it is only prescribed on a short term basis, unless the individual has an ongoing chronic medical condition such as epilepsy or another neurological related condition. The problem with Diazepam and other benzodiazepines, is that the individual taking them becomes tolerant to their effects over time. This means that the dosage has to be increased or an alternative needs to be considered if the individual is still experiencing the same condition it was initially prescribed to treat. Gone are the days of naivety around this drug, there is a wealth of information regarding its dangers and its potential for abuse, dependency and addiction. According to reliable statistics, Diazepam is still very much a problem, despite its reclassification as a controlled drug and individuals becoming more aware of its addictive properties and associated dangers. 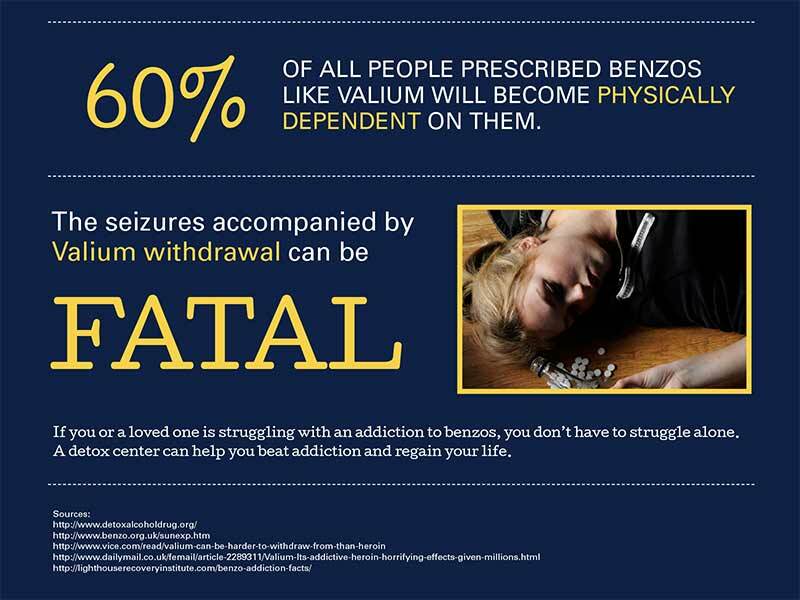 12 Million prescriptions are issued for Benzodiazepines each year. In recent years, within the UK, it is estimated that over 1.5 million individuals have an addiction problem with this class of medication. Most of the individuals who are addicted to a benzodiazepine are issued prescriptions by Doctors and over half of those that misuse and abuse them, are prescribed them also. Theses statistics are alarming but do not come as a surprise to us at Addiction Helper; this is due to the increasing numbers of individuals that we help access treatment for some form of benzodiazepine addiction or abuse problem. The most recent statistical information released by NIH, The National Institute on Drug Abuse, is something every benzodiazepine user and those considering taking them for the first time, should be made aware of. The statistics show a record high number of deaths attributed to Benzodiazepines in 2015, with nearly 9,000 individuals dying worldwide from overdosing on a medication belonging to the class of benzodiazepines. The statistics further alert us to the fact that the majority are males of middle age. 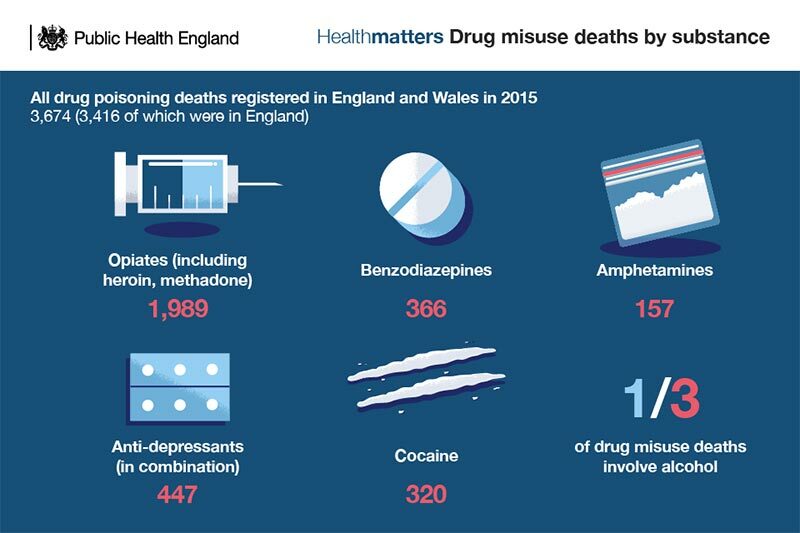 There were 3,744 drug poisoning deaths involving both legal and illegal drugs in England and Wales that were registered in 2016; this is 70 higher than 2015 (an increase of 2%) and the highest number since comparable statistics began in 1993. Of these 3,744 deaths, 69% (2,593) were drug misuse deaths. There has been an increase in the rate of deaths related to drug misuse in Wales from 58.3 deaths per 1 million population in 2015 to 66.9 per 1 million in 2016; deaths in England have remained comparable between 2015 and 2016. People aged 40 to 49 years had the highest rate of drug misuse deaths in 2016, overtaking those aged 30 to 39 years. Over half, (54%) of all deaths related to drug poisoning in 2016 involved an opiate (mainly heroin or morphine). The highest mortality rate from drug misuse was in the North East with 77.4 deaths per 1 million population, a 13% increase from 2015; the lowest rate (29.1 deaths per 1 million population) was in the East Midlands, which remained stable. 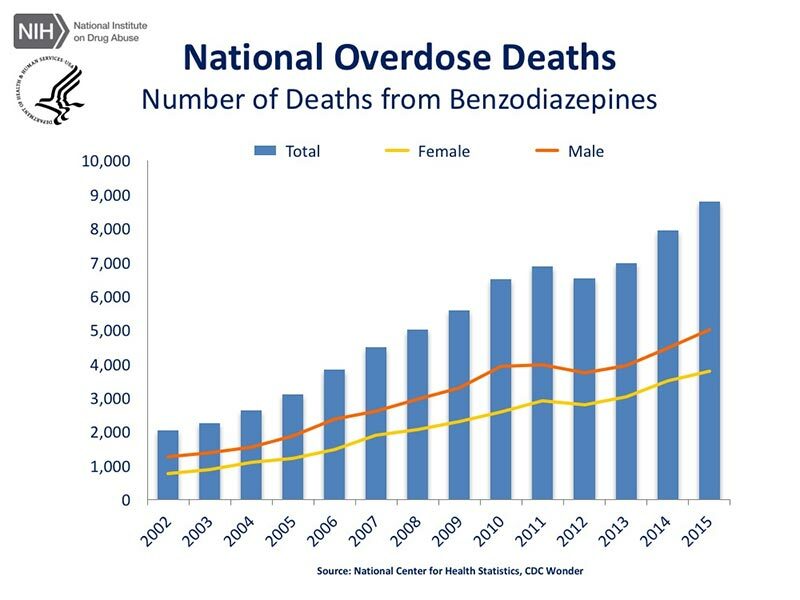 There were 366 deaths involving benzodiazepines in 2015, and the mortality rate of 6.5 deaths per million population was similar to the rate seen in 2014. 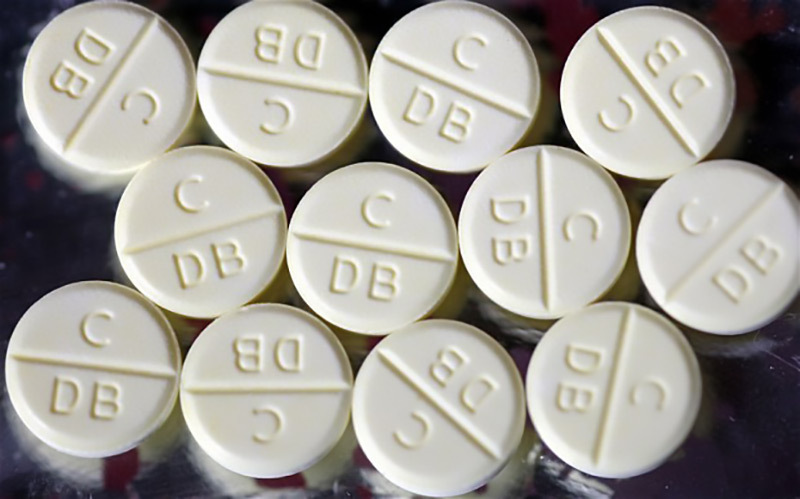 Diazepam was the most common type of benzodiazepine mentioned on deaths certificates in 2015, and was involved in 252 deaths. The role of diazepam and other benzodiazepines in drug-related deaths is unclear, as more than 9 out of 10 deaths of this type also mentioned another, often more potent drug, such as heroin or methadone and a third involved alcohol. These statistics highlight the fact that 31% of the total of drug poisoning related deaths in England and Wales were attributed to legal drugs, including prescribed medications, obtained legally and over half of all deaths in 2016, relating to drug poisoning involved an opiate…either heroin, or morphine (also a prescribed drug). According to the National Institute on Drug Misuse, amongst drug overdose deaths recorded in the US, with at least one drug specified on the death certificate, the 10 drugs most frequently involved in overdose deaths included the following opioids: heroin, oxycodone, methadone, morphine, hydrocodone, and fentanyl; the following benzodiazepines: alprazolam and diazepam; and the following stimulants: cocaine and methamphetamine. According to Scottish government figures diazepam-type substances led to 191 deaths in Scotland alone in 2015; with fake valium being a main contributor. The BBC recently published a report and televised a documentary on ‘Scotland’s Valium Crisis’, which was included in the series of Drugs Map Britain. The documentary follows the story of Jamie from Scotland and Levi a 29 year old unemployed individual who is addicted to Diazepam and legal highs. Some individuals may find it distressing to watch, but it really does highlight the problem that not only Scotland are facing but the Northern borders of England whom are most affected also. The two individuals followed in the documentary, easily access large amounts of street diazepam with just one phone call to a dealer on a daily basis. Scotland’s Drugwise (a local drug and alcohol service team) state in the documentary, that it is not uncommon for individuals to come in to their drug services with a 300mg to 400mg dependence to Diazepam a day. 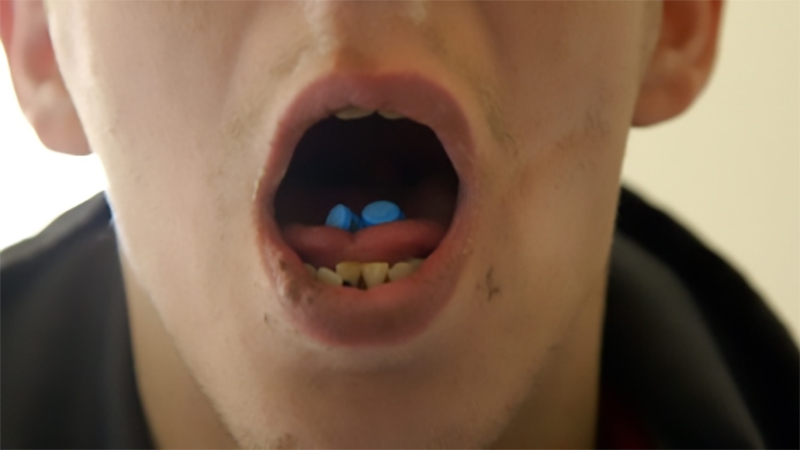 Levi who mixes street bought Valium with legal highs, which he takes together for greater effect, is filmed in a state of acute intoxication, barely able to speak or function, with loss of awareness and balance, having taken 20 to 30 – 20mg diazepam pills and smoked legal highs that morning. Drugwise state that this is very common, that because the pills are so cheap they can “escape reality” for a few days on street bought Diazepam, for the same price that they would pay for 30 minutes of getting high on a class A drug, such as Crack or Cocaine. The reality is that fake Diazepam is a real problem in the UK and commonly used by those addicted to other drugs such as Alcohol, Crack or Heroin. This is when Diazepam becomes its most lethal, when used with another sedating drug. The body becomes so relaxed as a result, that the user’s body can actually stop breathing as their brain forgets to instigate this essential life giving mechanism. Are Internet-Bought Diazepam and Black Market Diazepam Safe? They are usually generic, meaning that they are very rarely the same as the ones you would get prescribed by the Doctor in the UK; many are shipped in from all over the world and you do not really know what is in them. We would strongly advise against purchasing Diazepam from any source. It should only be prescribed and taken under strict medical supervision. If you are sourcing Diazepam by any other means it strongly indicates you have a problem. That being the case, please do call us for help; our lines are open 24/7 or you can chat to us LIVE online. Dont risk your health or life any longer! Tramadol, Codeine, dihydrocodeine and other prescribed opiate based drugs. Mixing opioids with the Diazepam or any other benzodiazepine, is extremely dangerous. It is rare that doctors prescribe both, and if they do, it should be very carefully monitored. All instances of death occur through abuse, addiction or intentional overdose; not by taking prescribed Diazepam as per instructions from your Doctor and following the guidelines to safe use, detailed in a leaflet inside of the box. 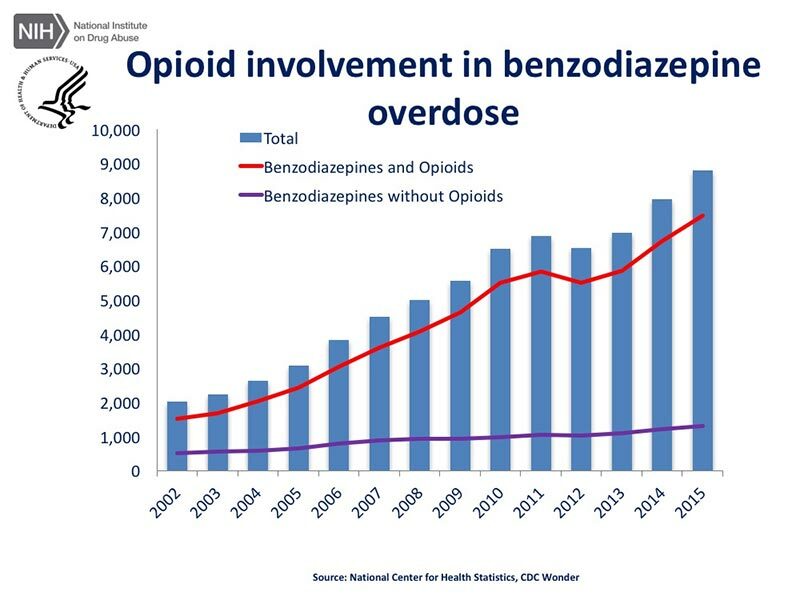 The chart below shows the huge number of opioid and benzodiazepine in combination related deaths. These statistics were researched and published by the National Institutes on Drug Abuse. As you can see the numbers are rising at an alarming rate. You have suffered negative consequences as a result of Diazepam, financially, emotionally, physically and to your personal relationships; yet still feel compelled to carry on using them. You no longer gain the initial desired effects from Diazepam, so have resorted to increased use and/or using alcohol, illicit or legal drugs on top. You stand to lose everything if you continue to use Diazepam, but are compelled to carry on regardless of the ever increasing negative consequences. If you or a loved one is exhibiting any of these symptoms, it is likely that you have an addiction or abuse problem with Diazepam that requires immediate professional help. Addiction, if left untreated, always gets worse over time, never better. This is especially true of those that find they are unable to stop their compulsion to take more. 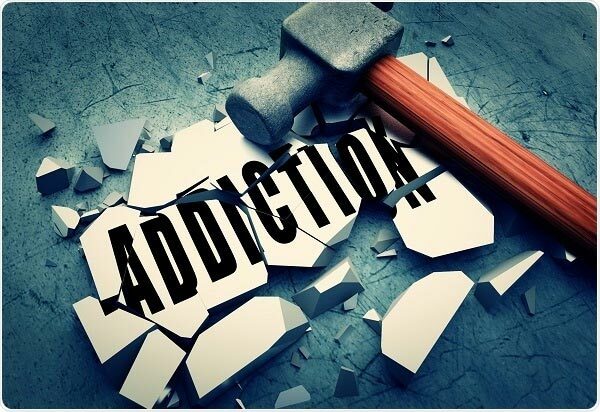 A dependency to a substance or medication, does not necessarily indicate an addiction; it is the associated maladapted behaviours, thoughts and feelings of the individual that defines if they have an addiction. Those with a tolerance or dependency only, will find that they are able to taper off and stop without too much difficulty; they may suffer withdrawal symptoms but do not use this as a reason to carry on taking the medication. Once detoxed their life then improves all round. Those that suffer with addiction, will find it practically impossible to stop of their own accord, due to the illness residing in the individual’s mind and compelling them to keep on taking it. If they do manage to stop, they are prone to relapsing, unless they deal with the issues that are underlying their compulsive need to escape themselves and life. Addiction is a illness of the body AND the mind. The psychological aspect of the illness MUST be addressed and treated comprehensively – if the individual is to stand any chance of achieving a happy and healthy life free from substances and addictive behaviours. If any of the underlined withdrawal symptoms develop you should seek urgent medical attention. If ANY of the above withdrawal symptoms are extreme or very troublesome, likewise you should seek urgent medical attention. The safest way to withdraw from Diazepam is through a monitored gradual reduction regime or a full inpatient medical detox where you can be monitored closely 24/7. Inpatient medical detox is especially advisable if you have suffered from seizures in the past, have had thoughts of suicide or self-harm, if you have another chemical dependency also, are unable to manage a self-detox in the community, are on a very high dosage, have been taking the medication for a long period of time or have been purposely abusing the medication from the start. These are all factors that put you at high risk from relapse or severe withdrawal symptoms if detox is attempted without close medical supervision. Diazepam withdrawal, when an individual has been taking large doses and for a prolonged period of time, can be extremely uncomfortable, distressing and dangerous. The after effects can last for a very long time, and heavy Diazepam users are prone to protracted withdrawal symptoms, especially if the withdrawal is not carried out correctly. We cannot stress enough, if you are thinking about quitting Diazepam, that you seek medical advice first or call us now. Our telephone lines are open 24/7 or you can chat to us LIVE online. We are very experienced in dealing with those who are dependent on Diazepam or abuse it and can help you or a loved one to access the correct treatment and support to find recovery from Diazepam addiction. What Help Is Available on the NHS and Can I Get Free Rehab for Diazepam Addiction? Because Diazepam is a prescription medication, and therefore not readily recognised as a dangerous drug to the general population, there is little in terms of intensive help in the community. This is not good news for an individual that suffers from an addiction and dependence to Diazepam that requires high intensity support for the duration of detox and comprehensive treatment for the psychological aspect of addiction. The first is through your GP. You or your loved one will need to be completely honest with your GP and genuine in your want to stop. Your doctor may agree to prescribing a reduction regime with regular reviews, but if they suspect you are not genuine and intend to source it in addition to the prescription, they will not agree to do this, as they would be aiding in your addiction. The second treatment pathway on the NHS, is to register with your local Drug and Alcohol team and ask them for help; they can help you with a reduction regime and provide low levels of psychosocial support in the form of key work sessions and involvement in the groups that they run. Local drug and alcohol teams can also arrange a doctor’s assessment and CBT therapy, which is a proven addiction treatment therapy. Because Diazepam is a prescribed drug, unless accompanied by an alcohol dependency or Class A drug addiction dependency, it is very unlikely you would be considered for rehab funding on the NHS. Even if you do meet the stringent criteria, funding takes a long time to secure. You will have to attend many groups and appointments to prove that you are willing and worthy of the funding, which is very limited in most areas and has lengthily waiting lists. If you cannot afford private rehab, we suggest that you access all the free support available that you can; being honest around your addiction and struggles is vital to getting well. Keep an open mind and try all sources of support available to you. If you do this and are dedicated and willing, you have a good chance of overcoming your addiction. Are There Free Support Meetings Available for Diazepam Addicts and Their Families? 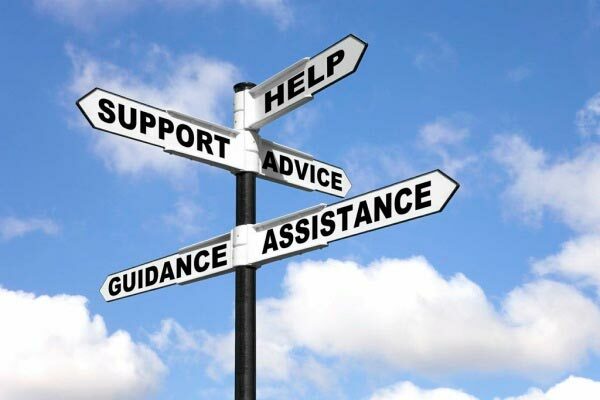 There are a number of self-help groups available that can be accessed for free; Narcotics Anonymous UK cover all drugs, including prescriptions pills. They provide a recovery programme that can be followed and accessed through attending their meetings. Smart Recovery groups are also helpful in providing support and motivation. Some local drug and alcohol teams offer smart meetings, but if yours doesn’t, you can find out more information by visiting the Smart Recovery website. There are also a number of support groups for families of those with an addiction problem, they include Adfam and Families Anonymous. It is well recognised that is not only the addict that suffers, but also the family and loved ones too. It is important that their needs are also met in terms of support, so that their loved one’s addiction does not consume them. By learning to put their own needs first, they are then able to constructively help their loved one instead of inadvertently enabling their addiction. Groups aimed at supporting the family and loved ones are very helpful to this process. All rehabs that Addiction Helper are partnered with offer 1 year free aftercare as part of an ongoing comprehensive recovery package. We also offer the family support; we recognise that the family are an integral part of the individuals on going recovery back home and they too will need help in understanding addiction and healing the past. For an individual who has an addiction, abuse problem or dependence to Diazepam, it is essential that they seek both medical and professional psychological help. Addiction Helper are able to facilitate immediate and same day admissions to one of our many exemplary private rehab clinics for those in crisis. Some individuals need to be taken out of the toxic environment they have submerged themselves into, away from temptation and the daily pressures of life in order to make a full recovery. Addiction Helper strongly recommends inpatient medical detoxification and rehabilitation for this particular addiction, due to the dangers and complications that can arise whilst withdrawing from Diazepam. This is especially important in cases where there is a high level of Diazepam dependency, a dual diagnosis, or where there is another dependency to alcohol or drugs present. Please do not hesitate to call us to discuss your individual circumstances, so we can find you the best treatment and support available to get you or a loved one well. Addiction Helper specialise in treating addiction; we understand that addiction is both a physical and mental illness and that both aspects need to be comprehensively treated in order to avoid relapse. By calling us, you will receive a comprehensive assessment free of charge, conducted by one of our addiction treatment experts; who will then make an informed decision as to the best and most successful treatment options available to you. We take all factors into consideration when treating an individual’s addiction, to ensure that you are happy with your choice of rehab and that you have the best chance of a full and long term recovery. We can find you or your loved one the ideal treatment plan and rehab facility in which to recover from an addiction to Diazepam, and any other addiction or co-occurring illnesses that are present. We offer specialist inpatient treatment ranging from affordable to luxury detox and rehabilitation, with locations all over the UK and also overseas. We also offer short term and long term programmes, including secondary, extended tertiary care and sober living accommodation. The duration of treatment required to get you or your loved one well, will depend on individual circumstances, the severity of the addiction and if any other substances or illnesses are involved. Following a successful medical detoxification from Diazepam, the individual will then ideally undergo a full rehabilitation programme to address the psychological aspect of their addiction. 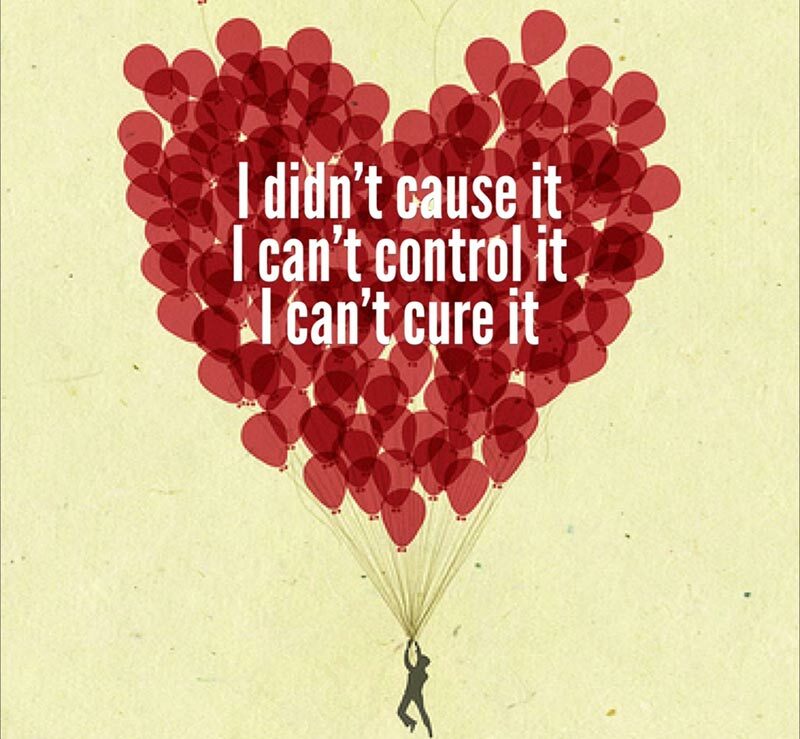 Our rehabs are staffed by experienced and fully qualified addiction treatment experts, many of our staff are in recovery themselves, so have a unique insight and understanding of the addicts brain, their thinking and associated maladaptive and destructive behaviours. A good rehabilitation programme is essential in order to avoid relapse, otherwise all that has happened is the individual’s body has been cleared of the Diazepam through a detox. With the same mindset and belief systems, it is likely that at some point in the future they will resort to their only method of dealing with their thoughts, feelings, emotions and life – with the use of Diazepam. We always strongly recommend rehabilitation alongside any medical detox, to ensure each individual has the best chance of a long and happy recovery. Addict’s brains are conditioned to seek instant gratification and ease and comfort through their drug of choice, or through another drug or behaviour that gives them what they so desperately seek. Addiction is a chronic relapsing brain disease, and over time spent in addiction, the brain adjusts as does its neurological pathways; so in a sense they become hardwired and conditioned to seek relief through addiction, rather than applying healthier coping mechanisms to neutralise or process the way that they are thinking and feeling. In order for them to be able to live life on life’s terms without picking up a substance, they will need to learn healthy coping mechanisms, process their thoughts and emotions and be able to apply a set of recovery tools to safeguard their recovery. This is why detox alone, from any substance, is rarely sufficient if the individual is an addict. Our rehabs professionally treat the root causes of addiction, teach our clients the tools of recovery, arm them with the facts of addiction and show them the process to be able to continue their recovery and growth on returning back home and to the real world. We tailor each individual’s personal rehabilitation treatment programme to specifically treat their individual medical, physical, social, emotional, spiritual and psychological needs. We also treat the individual as a whole person, using person centred treatment techniques to treat the mind, body and spirit comprehensively. Failing to treat the psychological aspect of a Diazepam addiction and the issues underpinning it, will usually result in relapse. Full inpatient residential detox and rehabilitation provides the individual with the best chance of staying permanently free from Diazepam and other addictive substances or medications in future. Furthermore, all patients that complete their Diazepam treatment programme with us, will also receive 12 months complimentary aftercare at their chosen rehab. We consider this a vital as it assists with the transition into a life without Diazepam. It also helps to keep the individual inspired, motivated and engaged in the recovery process and helps them to overcome any problems and challenges they may be facing back in their home environment. Diazepam addiction and abuse can kill and it can affect anyone; if you or a loved one are suffering from addiction to Diazepam or an abuse problem, it is important you seek help immediately. Call us now, or chat to us LIVE online; we are open 24/7 and waiting for your call. We can help you or a loved one to take the first steps in breaking free from Diazepam addiction permanently!